Both of these initiatives are strategically focused to address the needs of the poor that are not able to secure enough food for subsistence. Along with this these programs open doors of opportunity to extend our reach evangelistically for God’s kingdom purpose. 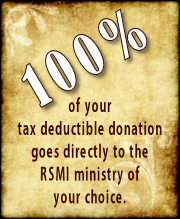 At our RSMI school in Nairobi the children will receive at least one wholesome meal a day through your generosity. Many times this may be the only healthy meal that they receive that day. Our second feeding initiative is the Village Feeding Program. It too is exceedingly important. We reach out to those in the remote villages of Africa and the Philippines to bring food supplies, including staples such as rice to those that have trouble feeding their families and themselves. As we do this it presents opportunities to share the Gospel with those to whom we minister physically. Therefore we love to share not only food but the word of God during these times. These hardworking people do their best to provide for themselves, yet with the frequency of droughts in Africa or floods in the Philippines many times the crops are destroyed and there is not enough to feed their families, let alone to see in market to provide finances for other household necessities. RSMI has shared food and the Gospel in isolated Mindanao villages with great success. On one such occasion after the day of passing out food to a village and sharing a fellowship meal together, as we departed on our motorbikes the villagers lined the path on both sides waving with grateful smiles on their faces. This was truly a moving experience. What is truly amazing is that many times government officials not only are grateful for this effort, but also participate in the food distribution for their people. What a great opportunity to make vital connections for future ministry in their areas! Follow-up work among the people of any particular village with discipleship programs or church planting. 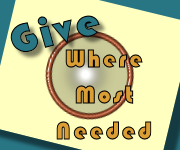 With your gift of any amount you can help to bring not only the food that is the staple of existence, but also the message of the Gospel to a child or a villager in the developing world. Please help us feed the hungry today!